Key West Injury Lawyer | Monroe County Accident Attorneys Gerson & Schwartz, P.A. Contact Key West Injury Lawyers Gerson & Schwartz, P.A. Were you injured in an accident in Key West? Whether you are a resident of the Florida Keys or were on vacation, our Key West injury lawyers at Gerson & Schwartz P.A. are here to help. We have four decades of experience as personal injury and wrongful death lawyers. We are highly experienced, knowledgeable, and skilled attorneys who focus on obtaining the best possible outcomes for our clients. We are not afraid to put up a fight and take insurers and negligent parties to court. We have an impressive record of pursuing and winning jury trials. We only accept a settlement when it is in our client’s best interests. To learn more about your rights after an accident that leaves you injured or causes a loved one’s death, contact us at Gerson & Schwartz P.A. at (877) 475-2905. Key West is the southern-most island in Florida Keys, which are located within the Straits of Florida between the Gulf of Mexico and the Atlantic Ocean. 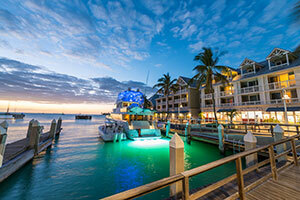 It is one of the most populated cities and islands in the Keys and is an extremely popular vacation destination. Americans and people from all around the world journey to Key West experience the rich history, culture, and nightlife of the island. The fact that Key West is a tourist destination creates certain risks. Properties that are rented and used by tourists need to be well-maintained and safe. If hotel, motel, restaurant, bar, club, and other business owners fail to maintain their property and offer appropriate security measures, then there is an increased risk that paying guests could be injured, and the property owner may be responsible under Florida’s premises liability law. Our injury lawyers for Key West handle many dangerous premises accidents, including slip and falls, trip and falls, pool-related incidents, animal attacks, and more. If you were injured on someone’s property in Key West, contact us right away to discuss your options. To reach Key West, residents and visitors have to use U.S. Route 1, which is better known as the Overseas Highway. It is the longest north-south road in the U.S., and it begins at the U.S.-Canada border and ends in Key West, the southern-most city of the contiguous U.S. Part of the Overseas Highway is the Seven Mild Bridge, which connects the Middle Keys to the Lower Keys. It is one of the longest bridges every built in the world, and it essential for traffic through the Keys. Because the Overseas Highway is the only main thoroughfare throughout all of the Florida Keys, it is heavily trafficked. Between November and March, tourism skyrockets. Visitors are escaping the cold back home and enjoying warmer climates. Unfortunately, these visitors drastically increase the amount of traffic on the Overseas Highway and Seven Mile Bridge, which in turn increases the risk of crashes. Our Key West injury attorneys represent injury victims and surviving family members after all types of motor vehicle crashes in the Florida Keys. If you were hurt or a relative was killed in a car, truck, or motorcycle accident, do not hesitate to call us. In addition to personal injury claims, our injury attorneys for Key West also handle wrongful death claims. If your parent, spouse, or child was killed in an accident in the Lower Keys, we may be able to help your family pursue compensation for your financial losses and emotional distress. Under Florida law, the personal representative of your loved one’s estate must bring the wrongful death claim. This individual can them pursue compensation for the decedent’s survivors, which include spouses, children, parents, and siblings who were dependent on the decedent. If you were injured or a loved one was killed in an accident in Key West, do not hesitate to reach out to Gerson & Schwartz P.A. for legal advice and representation. We will thoroughly review your circumstances, gather evidence, and analyze liability. If you have a valid legal claim, we can handle the insurance claim process for you, and when necessary, file a personal injury or wrongful death lawsuit in the appropriate court. To learn more about how we can help, call (305) 371-6000 to schedule a free consultation.